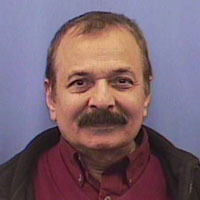 State of KY, license verification (expired) - Hamid Hussain Sheikh, MD (search by name) Lexington Abortion Doctor Out of Jail Medicaid Fraud Report -- Dr. Sheikh arrested and indicted by grand jury. See page 17. Attorney General Stumbo Announces Arrest of Lexington Abortion Doctor - 11-20-2007 Abortion Practitioner's License Suspended in Kentucky "Hellish Abortion Operation:" Kentucky Abortionist's License Suspended, Clinic Closed A Kentucky abortion practitioner engaged in such shoddy practices that state officials have temporarily suspended his medical license. The action comes after Hamid Hussain Sheikh pleaded not guilty in November to charges that he wrongly billed the state for abortions at his business. Sheikh was arrested after Attorney General Greg Stumbo conducted an investigation and found he falsely reported abortions as ultrasounds in Medicaid billing records. He was indicted on four counts of billing Medicaid for abortions, and could face 20 years in prison if convicted on all counts. UPDATE: The Kentucky Medical Board revoked Sheikh's medical license on April 29, 2009. The Kentucky Medical License Board revokes Hamid Sheikh's medical license on April 29, 2009.